I am in the process of purchasing a new house. In this process I am collecting as much information as possible to make an informed decision and reduce my risk. 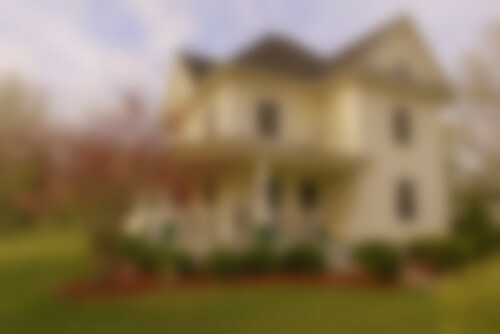 I've had the home inspected, which included looking at the roof, exterior, basement, crawl space, kitchen, bathrooms, electrical, heating, air conditioning, plumbing, and vegetation. I've also paid for a radon inspection and a pest inspection. I've done all of this because this is a large investment and I want to avoid future headaches. This winter and spring we have seen several bulls in various breeds sell for prices with six figures. Whenever I look at these bulls on the respective breed association websites, I am shocked that most of these bulls have parent average EPDs. These bulls have no production, progeny, or genomic information. Why does this surprise me? If we think back a few years, we can identify a bull that sold for six figures at a national sale. At the time this bull was marketed, his parent average EPDs put him in the top 25% of his breed for an important trait. But, several calf crops later and a much more reliable estimate of his EPDs, this bull is now in the bottom 25% for that important trait. Genomic selection alleviates this problem! 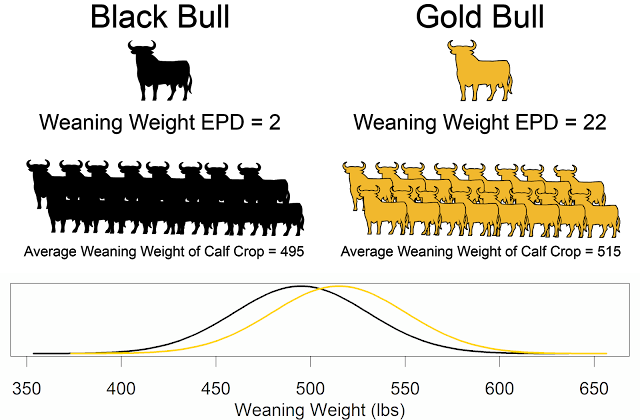 Genomic selection and genomic-enhanced EPDs provide the same amount of information as about 10 to 20 progeny. The buyers of these six figure bulls could have collected much more data and significantly reduced their risk of making a poor purchasing decision. They could have demanded that the bull be tested with a genomic panel prior to the purchase. If the seller is getting six figures for a bull, I'm sure he can scrape up $85 for a genomic test. When we purchase a house, we are making a decision that will affect us for years to come. When we purchase a bull, we are making a decision that will affect our herds for years to come. By purchasing bulls with genomic-enhanced EPDs buyers are getting a clearer picture of what they are actually purchasing. In my opinion, you would be crazy not to test! From this conversation on Steerplanet: "Unfortunately, you are asking the companies to turn over their intellectual property. It's not going to happen. Results are validated by breed associations when they calculate genetic correlations between molecular breeding value and the trait. With genomic selection, each round of improvement does not invalidate the previous set. The same DNA markers are used for each round of improvements. The substitution effects (ie statistical models) are adjusted and refined. If you buy a genomic selection test, the results continue to be updated. One price, multiple improvements. 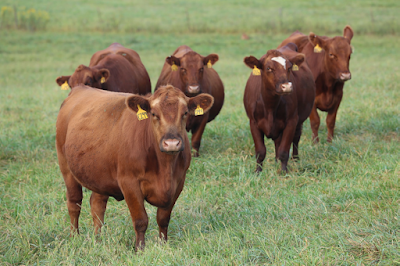 Are genomic technologies the panacea to all that ails the beef industry? No. But, they are a useful tool. I got my BS degree from NMSU. NMSU managed a herd of Brangus and a herd of Angus in the Chihuahuan Desert. They selected AI bulls that had superior calving ease and that were moderate sized. The tools they used to do this were EPDs! We haven't changed the tool, we are adding additional information and data into the tool of EPDs. This data allows us to gather information on a wider set of animals and produce accurate EPDs earlier in the animals life. Cattlemen are still responsible for making correct breeding decisions for the environment and production system. Genomic-enhanced EPDs allow them to use natural service sires and young AI sires with more confidence. The bull I mentioned in my blog is almost 10 years old. He was originally marketed as a performance bull with excellent calving ease. Unfortunately, the calving ease didn't pan out. But, if genomic-enhanced EPDs would have been available, it would have been as if the bull had 30 progeny with calving ease records when he was sold as a yearling. Epigenetics will affect the management of cattle, but I don't think it will affect the selection of cattle. Epigenetics is currently handled in our genetic predictions as a contemporary group effect or as an environmental effect.